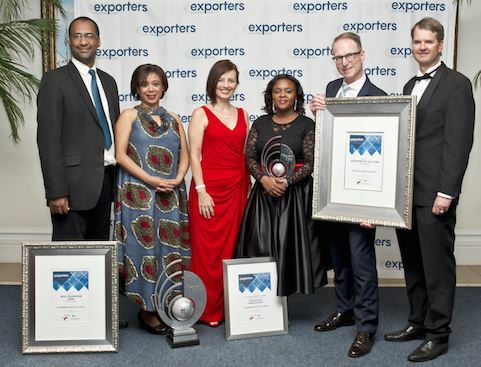 VWSA has walked away with three awards at the Eastern Cape's Exporters Club Awards - the 2017 SJM Flex Environmental Merit Award, the 2017 Best Exporter OEM Award and the 2017 Exporter of the Year Award. VWSA received a Merit Award for Continuous Improvement in the SJM Flex Environmental Award Category which is awarded to exporters who are ISO 14001 accredited and who pursue excellence in environmental management. For the fourth year in a row, VWSA was awarded the Best Exporter OEM Award which recognises manufacturers of original equipment for the automotive industry. "Volkswagen has been the passenger car market leader for the last 7 consecutive years and continues to lead the market in 2017. The Polo and Polo Vivo which are produced in our Uitenhage factory, have been instrumental in our success, both locally and overseas." said Thomas Schaefer, Chairman and Managing Director: Volkswagen Group South Africa. "Our position in the passenger car market together with our ongoing commitment in trying to reduce our impact on the environment and our commitment to the Eastern Cape and the community we are situated in are all rewarded by these three awards and I am very proud to lead this great company, with its loyal workforce and dedicated dealer network." added Schaefer. The Exporters Club was founded in the Eastern Cape 36 years ago and is aimed at organisations involved in exporting, either directly or indirectly, and for organisations with an interest in exporting. There are approximately 290 organisations on the database, including automotive, pharmaceutical, agricultural and services industries.